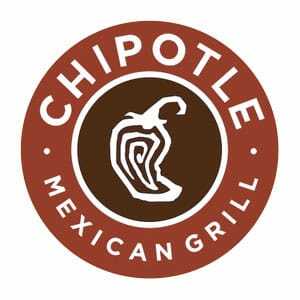 Holy guacamole, Chipotle goes public with recipe! Chipotle Mexican Grill recently released the recipe for its famous signature guacamole. With six simple ingredients (avocados, lime juice, cilantro, red onion, jalapeño, and salt), guacamole perfection can be achieved in a matter of minutes. The recipe can be found online. A few weeks ago, my kids and I stepped into the kitchen to try something new. Chipotle, the fast-casual restaurant chain that has popularized fresh and wholesome Mexican food, recently released the recipe for its signature guacamole. According to the Chipotle website, a single batch of guacamole for the restaurant calls for 48 avocados. After making the home version – which calls for just 2 avocados – I wondered if perhaps we needed to make a restaurant-sized batch, since the guacamole was gone mere seconds after it was mixed, leaving the family hankering for more. Fresh and light, the recipe embodies the quintessential flavor of summer; the creamy avocado perfectly balanced by the tartness of the lime juice and the pleasant spiciness of the jalapeño and red onion. At just 230 calories for a four-ounce serving, this treat can substitute for a delicious dessert and you can feel good about the ingredients. Our original batch of guacamole was accompanied by a newly-opened bag of chips from the grocery store. But making something so tasty from scratch and then mingling it with something so processed seemed wrong, so for the next round (which we whipped up just a few days later), I made a quick batch of oven “fried” chips. 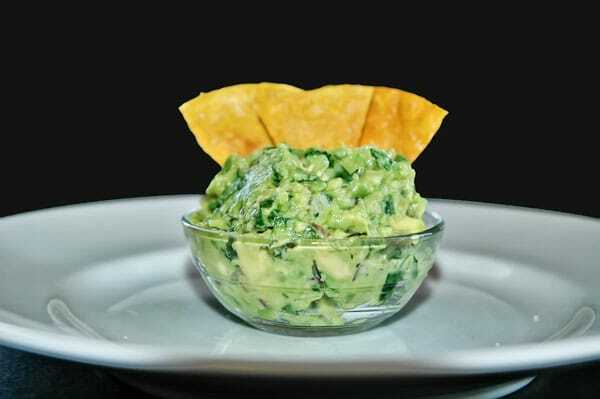 Fresh and hearty, their crunch was a perfect complement to the soft richness of the guacamole. Deep fried chips are, of course, more consistent with what you would get at the restaurant, but I think deep frying is best left to the professionals. It is tasty but also pretty messy and high in calories, so I do not do it at home. After trying to make chips at home several different ways, this method produced the results I liked best. While the chips you get are not quite as light as deep fried, the chips are yummy and sturdy enough to hold an impressive amount of dip. Much as I would love a version that uses less oil than this one, tortillas baked dry produce results that are gummy, tough and generally unappealing; a generous amount of oil is necessary to crisp the chips. It is also important to sprinkle the chips with salt (I like kosher salt) as soon as they come out of the oven, since the salt adheres to the chips better when they are warm. After a little trial and error, I also determined that for best results, chips should be turned during the bake time to ensure that one side does not remain soggy while the top browns and crisps. I use olive oil in the recipe because I think it tastes best, but regular vegetable oil would work fine, too. I think these chips are best eaten soon after they are cooled, but they can be made up to a day ahead. However, if your house is anything like mine, your chips will not last an hour, much less 24. Especially if you make a fresh batch of creamy guacamole to go with it. For Chipotle’s official guacamole recipe, visit www.chipotle.com/guac-recipe. Heat oven to 350 degrees. Pour three to four tablespoons of oil into a rimmed baking sheet and spread oil evenly to coat the entire bottom of the pan. Using a pastry brush, coat tortillas evenly with olive oil, stacking tortillas eight to ten tortillas high. Using a knife or pizza cutter, cut the entire stack of tortillas into wedges. Place tortillas in a single layer on the pan. Tortillas will shrink as they bake, so they can overlap slightly, but do not stack them directly on top of each other or chips will not crisp properly. Bake chips for 10 minutes, then use tongs to turn them. Put chips back in the oven to bake for another 5 minutes or until chips are lightly browned around the edges. Remove chips from the oven and immediately sprinkle with kosher or sea salt to taste. Allow chips to cool before serving.